Measuring subjective well-being – what we think and feels about our lives – has become an increasingly important focus of the UK government over the last year or so. Scotland, however, is ahead of the game. Back in 2007, the newly-elected SNP Government set out a target to measurably increase adult mental well-being – one of its key national performance targets. For young people, the aim is similar: to help them become ‘confident’, ‘resilient’, and enjoy their lives. Today, more than ever, this is paramount to the future of Scotland. Children’s services in Scotland are guided by the strategy Getting It Right for Every Child, whose guiding principles centre around promoting well-being and listening to what young people say about their lives. Alongside families and schools, the stewards of children’s well-being are the numerous charities, local authority services and youth groups – many of whose work focuses on the most vulnerable groups. As budgets are cut and talk of a ‘lost generation’ grows, these organisations are experiencing more and more scrutiny of how they measure and evaluate their work. The need to demonstrate outcomes has never been greater. 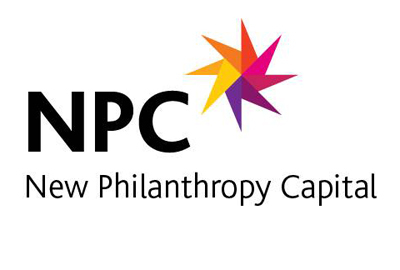 NPC’s Well-being Measure can offer organisations a practical and robust way of evaluating their work. In Scotland, the tool has been used by the Outward Bound Trust, Operation Youth Advantage +, and BBC Children in Need. Organisations in other part of the UK have used the tool to understand more about the young people they work with and prove their impact. The Well-being Measure aligns with the Scottish Government’s emphasis on well-being and getting the view of young people. Even more crucially, it is also a way of measuring what matters – and helping organisations get it right for every child. Want to know more? Come along and visit our stand at the Gathering in Glasgow’s SECC on 29 February and 1 March, or email us at wellbeing@philanthropycapital.org. To read more about NPC’s Well-being Measure and how it can help you, visit our website www.well-beingmeasure.com.